Are you accepting a payment? Click here. The era of anxiety from sending Ether transactions has ended. Tabby Pay is a smart contract that's built to prevent user error. If you send Ether to the wrong wallet, you can cancel the payment and your Ether will be returned. Not ready to send real Ether? 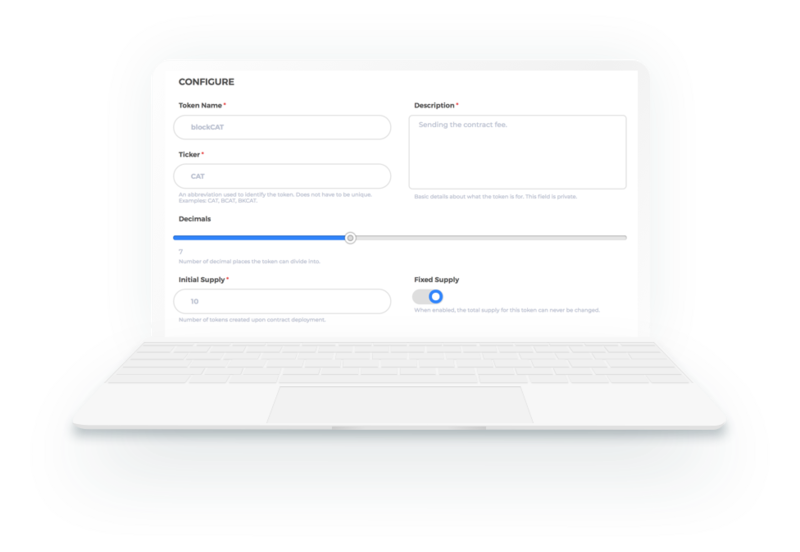 You can try our demo contract. 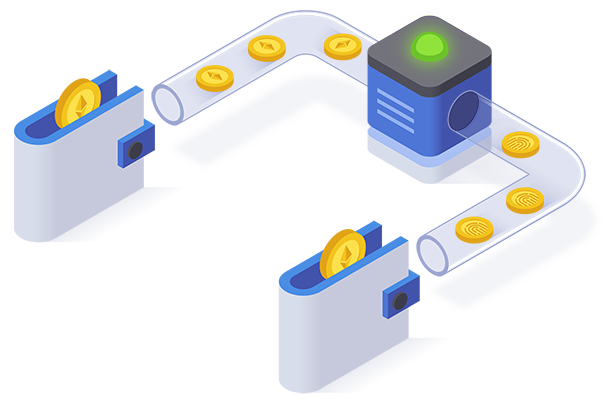 Your payment will be routed through our smart contract. We attach data to the payment which contains information about the intended recipient. Only this wallet is able to accept your payment. After you notify the recipient of the pending payment, they will visit the site to claim it. The recipient sends data to our contract that verifies they own the receiving wallet. This process currently requires a web3 enabled wallet, though future versions will support hardware wallets and more. If you send Ether to the wrong wallet, your intended recipient will be unable to claim their payment. But that's not a problem anymore! For the first time ever, you're able to cancel your payment. 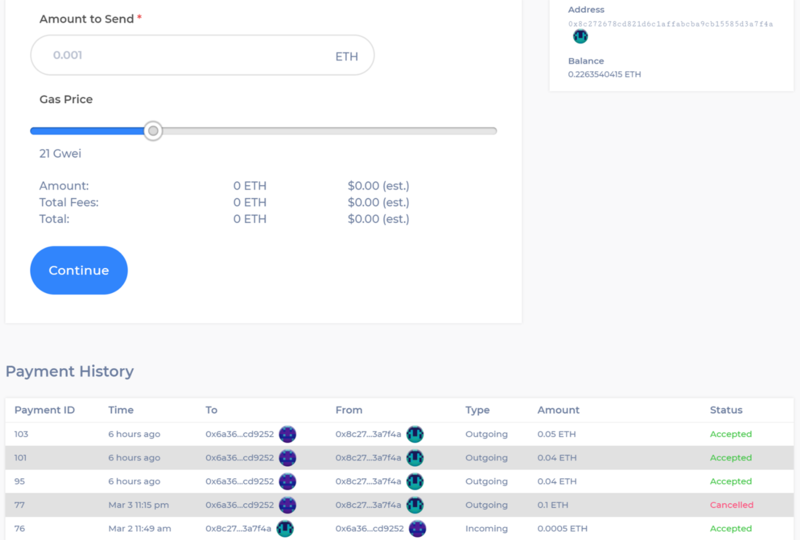 The contract returns the Ether to your wallet and you can start a new payment. Every crypto user knows the problem. "I shouldn't have to check two, three, four times before i'm comfortable proceeding with a transaction. Very unnerving, especially to someone new, a mistake can cost you dearly." "Moving large amounts of crypto around gives me a mini panic attack everytime. I'm very tech savvy and it is a nerve wracking experience. How is the normal person supposed to get on board with this?" Have more questions about Tabby Pay? We have an extensive knowledge base to answer your questions. We've provided some of the most common questions below. If I send Ether to the wrong wallet, what's stopping the owner claiming my payment? If you tried to generate a random private key that actually contained some amount of Ether, you'd need more time than what's remaining in our universe. The same principle applies here. If you mistype an address, it will not be a wallet that anybody actually owns. Therefore nobody is able to claim it, but you can still cancel it. What if the recipient is not who they claim to be? While we prevent user error during the sending of payments, if a scammer has convinced you to send Ether to their wallet, we cannot detect this. Only you are responsible for trusting the recipient. Can I send money to an exchange wallet, or an ICO contract? Right now we only support web3 enabled Ethereum wallets, eg: MetaMask, Parity, Mist. Adding support for more wallets, such as hardware wallets, is our top priority. Can I send ERC20 tokens? We do not currently support ERC20 tokens, but we plan to in future versions. Tabby is powered by BlockCAT Technologies. © 2018 BlockCAT Technologies. All Rights Reserved.